Your resource for all things shoegaze and dream pop: Interview: Ian Griffiths of Kontakte. 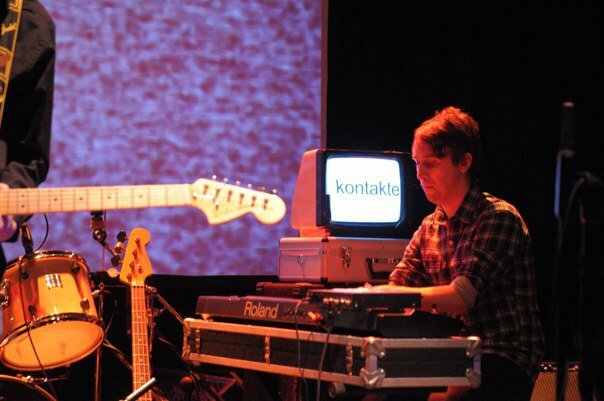 Interview: Ian Griffiths of Kontakte. 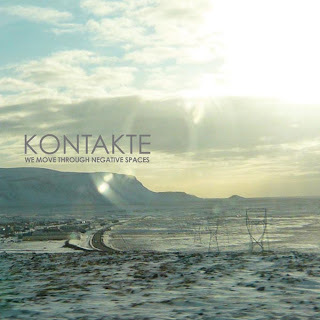 If you haven't yet heard of Kontakte, perhaps you'll remember their name from our Record Label Spotlight with Northern Star Records (read it HERE), as we gave them a lot of love in that article. 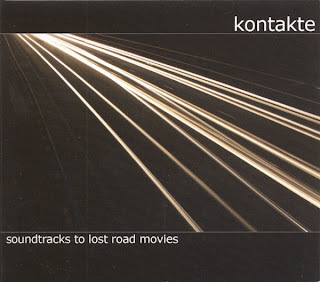 And deservedly so - this UK outfit, consisting of Ian Griffiths, Gary McDermott, Stuart Low and Ben Worth, has been blowing my mind in particular ever since receiving their first full length LP, Soundtracks To Lost Road Movies, in 2008, from their label Drifting Falling. Soundtracks is a great LP, but it in no way prepared me for how amazing their newest release, which came out in March 2011, would be. 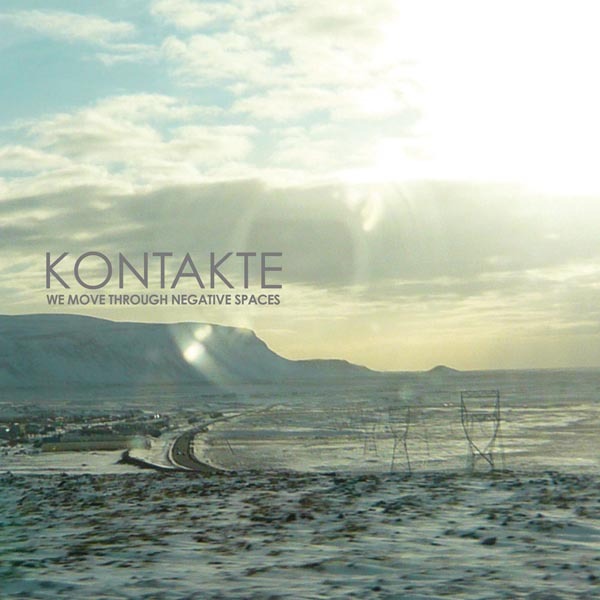 Entitled We Move Through Negative Spaces, this LP is an absolute triumph for Kontakte, incredibly gorgeous. 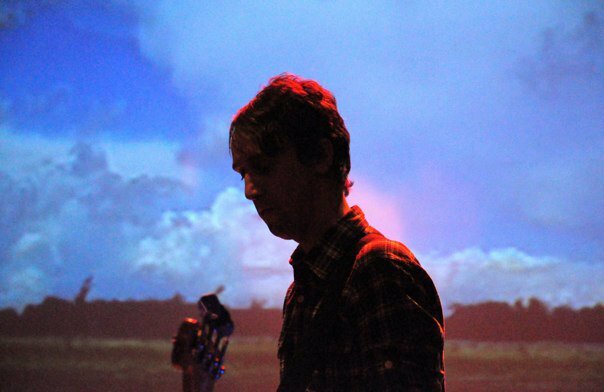 We have a review of the new LP coming up next week on the blog, but until then, enjoy the following interview with band member Ian Griffiths, and have a listen to some of the tracks here. You will no doubt be instantly converted. 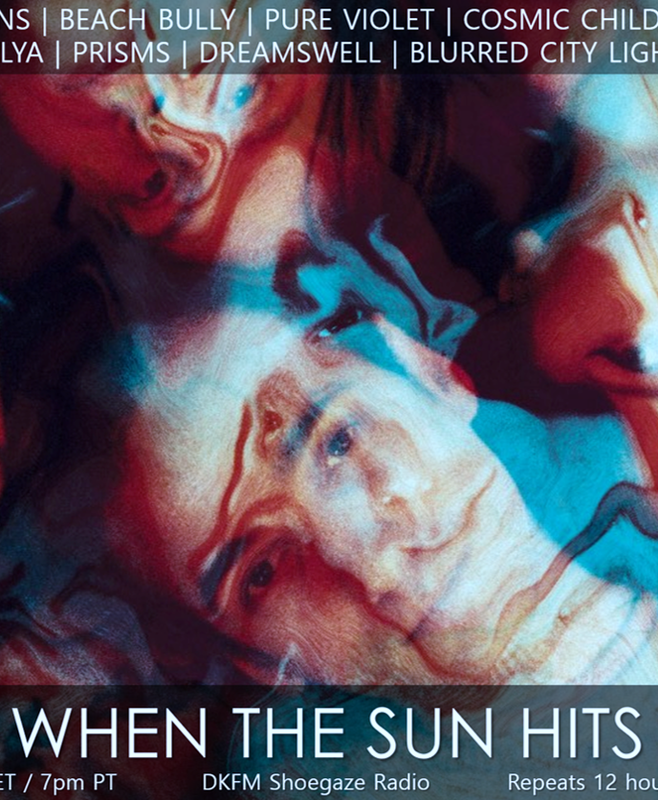 When The Sun Hits expects huge things from Kontakte in the future, and after getting a taste of the music, you'll see why. Is there any significance behind the name "Kontakte"? It is significant in terms of where the name was taken from and the lineage of electronic based music as we see it. The name "KONTAKTE" was taken from Stockhausen's 1958 seminal Electronic-Acoustic arrangement Kontakte - fur elektronische Klange, Klavier und Schlagzeug. This was essentially the first recording to contain both Electronic and Acoustic sounds, something quite extraordinary at the time. The name seemed to instantly resonate with what sits at the heart of our sound; processed electronic beats and synths, juxtaposed with "classical" and "organic" instruments such as guitars, piano, percussion instruments; and (as we have experimented with on the new record) live strings. Kontakte. The Ocean Between You and Me. Kontakte was initially a bedroom project that for a long time was dying to be released and turned into a full band capable of playing live shows. As soon as a few tracks were uploaded to what was once the hub of online music (Myspace - RIP), they received a lot of good feedback and the process started to form a "real" band. In all honesty, it took a while to find the right people. I think other musicians out there will understand what I mean. People who understood the basic idea and had a kinship with the music already written, and didn't feel the need to enter the fold, hell bent on changing what was already a working project. 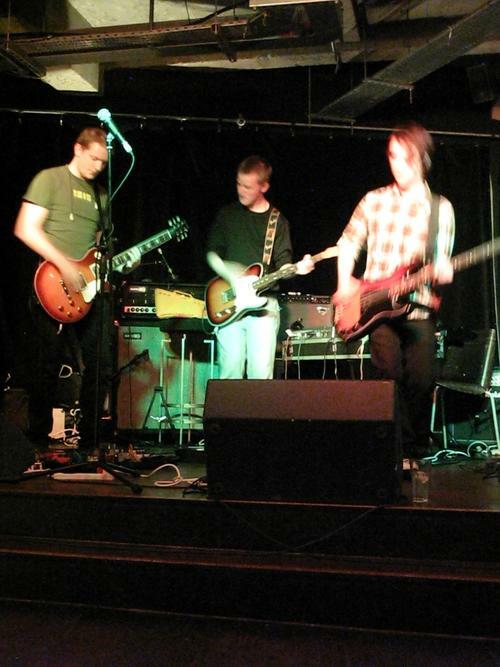 Forming a band can be quite a challenge and Kontakte has been no exception. You realise that you've come full circle, though, when you find the right people and when the music evolves by itself. Our new album is testament to that. Can you tell us what you've been working on and what you've got forthcoming in the near future (new releases, tour, etc)? Our new album! We Move Through Negative Spaces has been the labour of our love for the past two years. It goes without saying that we are very excited for people to hear this record. 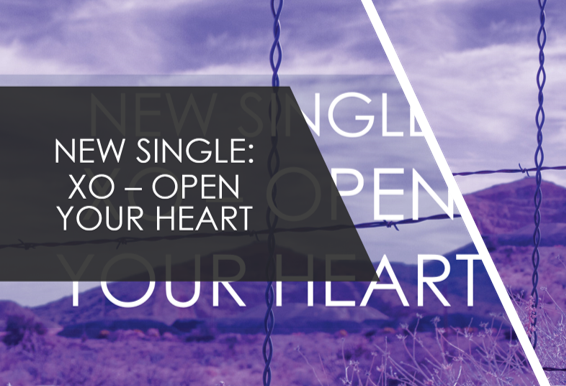 We believe it's a step up from our debut in terms of songwriting, instrumentation and production. When you put a lot of time and effort into something and hear it back in its full form and hold the finished article, you do feel quite a big sense of acheivement. To coincide, we are playing shows through the spring and early summer including, a much anticipated second visit to Germany. 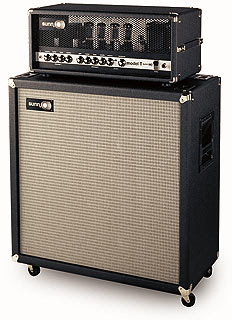 What is the most important piece of gear for your sound? Any particular guitars/pedals/amps/synths you prefer? Well, our guitarists' set-ups are extremely important. Right now, we'd certainly be lost without them. Without getting too nerdy, the amps and pedals used all serve their own purpose. 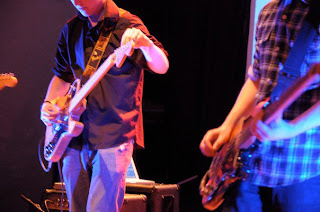 We use Sunn, Fender and Ampeg amps. EHX make some great pedals, as do Line6, and everyone needs a few Boss stompboxes! I think one thing that sets us apart though is our continuous use of electronic beats/laptops - that is integral to our sound. These beats come from a variety of sources but are generally programmed in Cubase or Ableton. What artists have most influenced your work? Every member of the band could probably come up with a different artist or band and that in itself is what makes Kontakte what it is. We are all influenced by a range of artists and different types of music. Anything from Brian Eno to Sunn O))), Tim Hecker to Mono, MBV to TV On The Radio - that's quite a range of taste just there! Do you consider what you are doing to be "shoegaze" or "psychedelia"? Do you feel that you are part of the shoegaze/psychedelia scene, or any scene? I don't think any of us would necessarily think we are either Shoegaze or Psychedelic at all. Just as much as we don't dwell on whether we are Post Rock or Krautrock. The fact is that a ton of different labels have been thrown at Kontakte over the past few years, and in a positive way we seem to ride on the crest of all of that and continue to do our own thing which, we don't think, is specific to any type of sound. That works in our favour. People seem to hear a lot of different things in our music which tells us that our sound is not one-dimensional. Kontakte. A Snowflake in Her Hand. We absolutely do NOT attach ourselves to any "scene" that may be happening now or ever. Scenes might be a good party for some, but in our view are essentially unhealthy for music. How does a scene develop itself? The music created within a scene can at times become a bit staid and repetitive. If you are intent on being creative and are attempting to do your own thing and wish to develop that thing, then being part of a scene can easily hinder that progress. 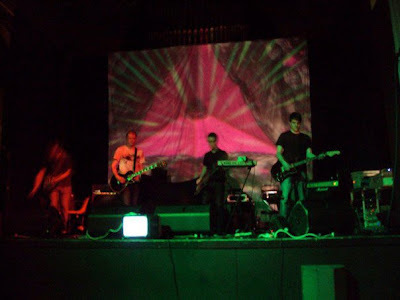 What do you think of modern shoegaze/psychedelic bands? Any favourites? Having said all that above, there are a hell of a lot of great new bands coming through at the moment and a number of great labels that are continuously pushing new music. Two bands springing to mind are The Lost Rivers and Ceremony. We're playing a show with them in Munich very soon - it could well be the gig of the year! A good place to start with labels would be Drifting Falling, Northern Star, Club AC30, Erased Tapes, Field, Monotreme, Gizeh, Home Normal, Hibernate. Kontakte. Early Evening Bleeds Into Night. Would you tell us a little about what you are currently into (bands, books, films, etc)? Film and it's accompanying soundtrack is something that's always interested Kontakte. It's also something we'd love to be working towards and creating in the future. We're big fans of Clint Mansell, who is extremely prolific and always manages to score excellent music to equally excellent films - Requiem For a Dream, The Fountain, Moon, Smokin' Aces, Black Swan, etc. If you had to choose one Kontakte track that would be the ultimate definition of your sound and aesthetic, which would it be? Interesting question. Something tells me we shouldn't name one song, as that would suggest that our work here is done. I guess the fact we want to continue writing and continue putting out albums suggests the "ultimate" Kontakte track hasn't been written yet? To date, this new album is definitely the closest definition of our approach. The "space" suggested in the artwork is the kind of image we want our music to evoke in people's imaginations when they hear the album. Somewhere, perhaps both bleak and beautiful. To Move Through Negative Spaces, and to come out the other side in a better place. Simple. I just recently discovered Kontakte via Amber's radio show, but I became an instant fan. I've since bought each album that's been released, including what I believe was one of the very last copies of the "Superbug" EP available through Drifting Falling. "Soundtracks to Lost Road Movies" is brilliant, and "We Move Through Negative Spaces" is breathtaking. As mentioned above, my face melts when listening to the title track from the "Superbug" EP. I just sit in absolute awe as that song transforms itself from a few shimmering guitar notes to a bombastic beat-filled monster of epic sound. I imagine, though, that like most of life's most memorable moments, it will indeed be, "both bleak and beautiful." 8 Bit Versions of Shoegaze Classics. 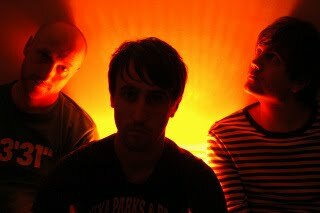 News: Jesu Set To Release Next LP, Ascension. Video: Brad Laner. Lovely World. Live Video: Deerhunter. Desire Lines. The Triumphant Return of the Weekly Top 5. Video: Promo Video for Airiel's Upcoming EP. Video: Music for Headphones. Drive Motorik. New Track/Video: Keith Canisius. See You Tonight.